This Cold Storage Facility at Mccain Foods PTY Ltd is exposed to constant condensation from the combination of the cooling below the suspended ceiling and the heat generated from the roof sheets above. The original method of protection using standard epoxy coatings was not providing the protection the steel required in this harsh environment. 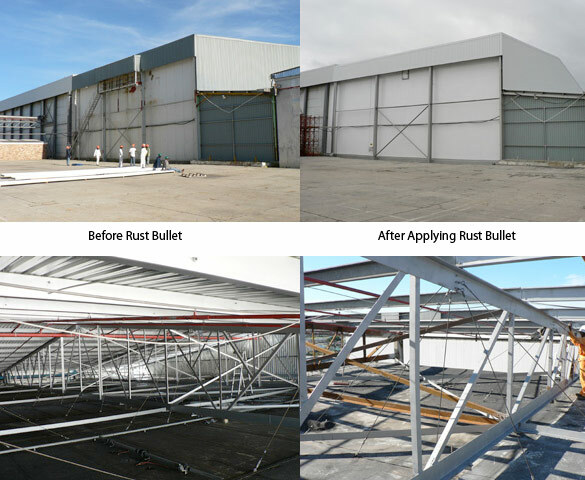 Rust Bullet Industrial Formula was the only option for Mccain Foods, the structures integrity was restored and the life span extended. Mccain Foods now use Rust Bullet products as a solution for all their corrosion problems. The project was finished within the project plan estimate as well as within the set budget.